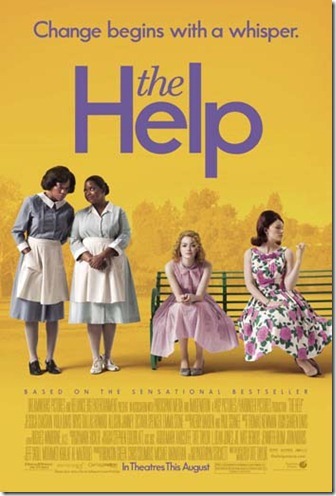 Two weeks before The Help Movie was released, I was able to head to a local screening of the movie. I went with my mother to a packed theater. We all sat there with much anticipation. Those who had read the book were busy chatting to each other on whether it would live up to their expectations and love for the book. I have to admit, I was one of those people. 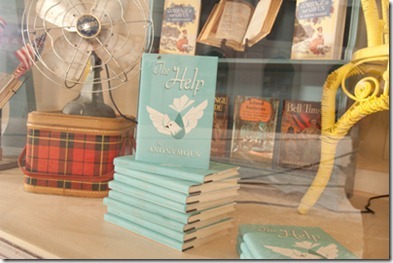 I read The Help by Kathryn Stockett in the fall and adored it. I actually listened to the audio version of the book. It was powerful, hit hard, and really told a story of a time that we hope never to witness again. I did not want the tale of these amazing women to end. I was in their world and I wanted to continue their journey with them. As I have written before, I often worry about books, especially ones with such a positive reputation, being made into a movie. I often blame it on being a teacher and watching book after book get mangled by Hollywood when it is transformed. It makes me so happy when they get it right and the book that I adore comes alive on the big screen. I am thrilled to report The Help Movie did not disappoint. 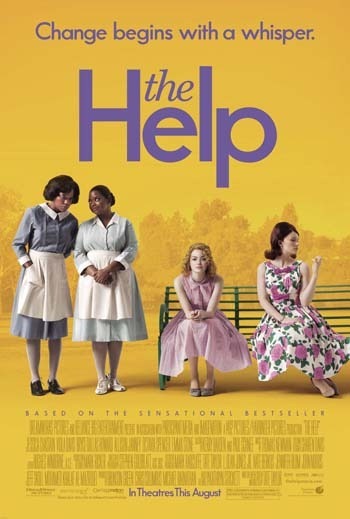 The Help is THE must see movie of Summer 2011! Words can not describe the story that comes alive in this movie that is just over two hours. One minute, I was laughing. The next, I was fighting tears in my eyes. I can not recall a movie where the entire audience was laughing, crying, and cheering together like this. The subject matter was focused on an era gone by, but the message was so much larger. The tag line for the movie “Change begins with a whisper” really lets you know what the message of the novel/movie is about. Quiet work by brave ladies to tell the story of these amazing African American women who took care of children and confronting societal expectations of women in general were clear. 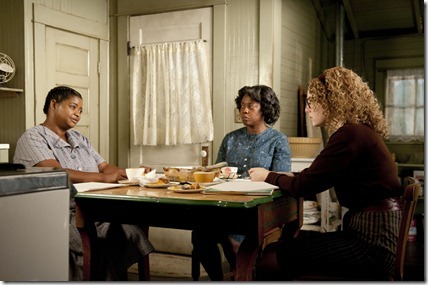 I can honestly say that I want to see The Help again. I want to sit and listen to the story, take away the message, and watch the amazing actors on the big screen. I do not believe that this is the last that we will hear about this movie. I have a feeling many Academy Award nominations will follow for the cast that was assembled for this extremely well done epic film. Have you read the book or seen the movie yet? I would love to know what you thought. I am especially curious if you saw the movie and have not had a chance to read the novel. Disclosure: I received complementary passes for two to see the pre-screening of The Help from DreamWorks PR. As a fan of the book, I wanted to share this information with my readers. No other compensation was given and no review expected. All opinions expressed in this review are 100% mine. LOVED this movie! I never see a movie more than once, but I’ve already seen this one twice (and I plan to see it again when it comes out on DVD.) It’s that good, and I love sharing it with friends and family. I saw a screening of The Help at BlgoHer11. I LOVED it!! NY & I were going to go see it today but … we never got out of bed. :D The last trip to Shanghai wore him out. Hopefully we’ll go tomorrow. I know he’ll like it as much as I did. I’m reading the book now!